Shake it, shake it, baby! 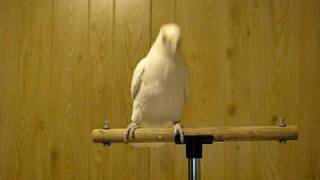 Frostie is a wonderful performing bird whose human is not mistreating him, as unfortunately happens all too often, so we wanted to share his amazing performance with you. We dare you not to shake your own tail feathers when he starts to move!